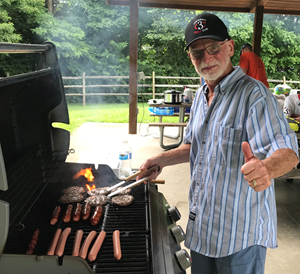 Newcomer Family Obituaries - William Matthew Mensing 1955 - 2019 - Newcomer Cremations, Funerals & Receptions. Mensing, William Matthew "Bill" age 63, of Maineville, Ohio passed away on Friday, February 1, 2019. He was born in Key West, Florida on February 27, 1955 to the late William A. and Ann Mensing (nee Beatty). He was preceded in death by his father-in-law, Wally Gaskin; and mother-in-law, Stella Gaskin. Bill is survived by his beloved wife of 36 years, Linda Jo Ellen Mensing (nee Gaskin); niece-daughter, Mishel Mensing; brother, Ted (Cindy) Mensing; brother-in-law, Paul (Linda) Gaskin; sister, Ruth (Keith) Merrill; brother, Tim (Karen) Mensing; nieces, Kati (Kevin) Roll, Kim Mensing, Tasha (Joe) Rihm; nephews, Michael (Meg) Gaskin, Robert (Bethany) Gaskin, Jesse Merrill, and Christopher Mensing; great-nieces, Isabella Roll and Abi Rihm; great-nephews, Liam Roll, Conor Gaskin, and Colin Gaskin; dear friends, Carolina Quinn, Muck Smith, Doc Cominsky, Steve Schwartz, John Armstrong, Fred Ferguson, all his cycling buddies, Resa and Mike White, and Brett Gilmore (Bird Man); all his lovely ladies at work; cats, Stonelick and Shiloh; squirrel, Simon; chipmunk, Chester; and a host of other family members, friends, and critters. Bill's passion was being a bicyclist and would ride many miles every chance he got. He was dedicated to his work as a BioMed Tech and was the "fixer" for his friends and family. Bill had a calming influence on everyone around him, he knew what to do in any situation. He had a natural skill to be able to complete all jobs around the house himself rather than seek out contractors, Bill truly was a master of all trades. Bill was devoted to his faith and his family. He kept his priorities pure, simple, and honest. In loving memory of Bill, in lieu of flowers, contributions may be made to Hospice of Cincinnati - Blue Ash. Add your memories to the guest book of William Mensing. Ted; Sorry for the loss of your brother. I did not know him, but in reading his obituary, He was a great guy and someone I would of liked to have known. I will never forget Bill, he was one of the nicest guys ever. Being neighbors to Bill and Linda for just a couple of years, the pleasure of really getting to know Bill is now at a loss. It was always such a joy for us to see Bill as he came home from work, or him working in his yard for he was always very joyful even when tired. His compassion about life, his family, friends and his faith he loved to share. Bill was very generous in giving us a helping hand at times with our yard work. We will miss Bill’s wonderful loving, joyful face greeting us and wish we had the time to have gotten to know him more here in this life. We are very grateful Bill is now with His Lord and Savior, Jesus Christ and in a place where there is no pain. Bill-one day we will get to know all about you as we join you and our Lord at our homecoming. The gift that Bill gave each day at St. Elizabeth was not only his great knowledge and skills but also his genuine expressions of faith and his authentic spirit. It truly was blessing to know him and to share conversation with him. Memories will continue that blessing in the Dialysis units at St Elizabeth. We have lost one fine individual. Bill was the most gentle and kind soul that you would ever want to meet. Bill always had a sincere interest in everyone who crossed his path. His friendly and caring personality always inspired me to strive to be the same. No matter what, Bill always had a smile on his face and would give you the shirt off his back. His laugh was one of a kind. Since I moved away from Bunchberry Drive, I have always missed having him as a friend and a neighbor. Over the years, we had countless conversations between mowing lawns, shoveling snow, having a cold beverages on the driveway, and simply hanging out with the old Bunchberry gang. If you are one of the fortunate ones to have known Bill, you know in your heart and in your mind that we have an angel looking over us. Bill will be missed by his St. Elizabeth family and cycling friends. I recall Bill being front and center for our first Cystic Fibrosis Ride, as a St. Elizabeth Cycling Team. He was very welcoming and encouraging. He took time with new cyclists, so they would feel comfortable riding on the streets, and he always lead rides with safety as a priority. My observation of him was that he always had a positive attitude. He was a true friend to so many. Bill will be missed, but we know he is smiling over us and will wrap his arms around the team of cyclists he loved sharing his time with each week. Prayers to his family and friends. Me and my wife Diane had the utmost respect for bill, he was a wonderful ,humble, respectful person with a mild spirit that couldn't be overlooked, he was loved and will be missed. What a beautiful obituary - every word is just perfect. Bill was such a wonderful neighbor and helped me more times than I can recall. The most important time was when I found our sweet kitty, Cheeto, lifeless outside on my driveway. It was about 18 degrees that night and Cheeto had slipped outside without me noticing. The first thing I thought of was to reach out to Bill and Linda. In that cold weather, Bill dug a hole in some very hard ground and helped me to bury Cheeto. I will never forget him and I am so saddened to hear the news. I am forever grateful to have had the opportunity to live next door to you all! I love you all! Bill was a great person and a really composed individual he was just a wonderful pleasant person. I never saw him get angry over anything. He was just one of those guys you liked being around. I remember Bill coming to visit me and my wife along with his wife and brother-in-law and sister-in-law on my houseboat on Cumberland Lake. We would all refer to Bill as Captain Bill. Bill just had the look of a seafaring man and he loved the water and loved boating. Bill also loved music, good food and good company. I have never known a better man and he will be missed. It was such an honor to know Bill who I met at St. Elizabeth years ago. It was due to his passion for cycling that I worked with him to form a cycle club for our associates. He always had a positive attitude and a constant smile on his face whenever I saw him. He will truly be missed by us all. Linda, Sue and I wish to express our most heartfelt and sincerest sympathies for your loss. Bill has been my friend for many years, it hurt my heart when he told me he was ill. I will always remember his smile and kindness, he made everyone's day better. I have had the pleasure of seeing Bill first thing most days at work for the past 18 years. His ready smile & insistence on shaking my hand was such a reliable marker of starting my work day. It’s a huge void not having Bill around for anyone that has met this man. He taught me a lot of practical aspects of the water system management for dialysis machines which was his forte. Job so well done. Rest In Peace my friend.